Home Fire & Police Was The Sun A Factor? The blinding glare of the late afternoon sun may have been a factor in this accident last Wednesday just after 5 PM at the intersection of Grace Avenue and Bond Street. 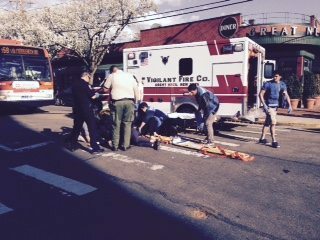 Two pedestrians were involved as the car struck one person who was then knocked into the other person in the crosswalk. The Vigilant Fire Department responded and took both victims to the hospital. 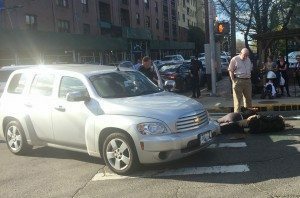 The sun’s strong glare can easily be seen reflecting off the car that was apparently making a left turn into the crosswalk. Injuries were not believed to be serious. 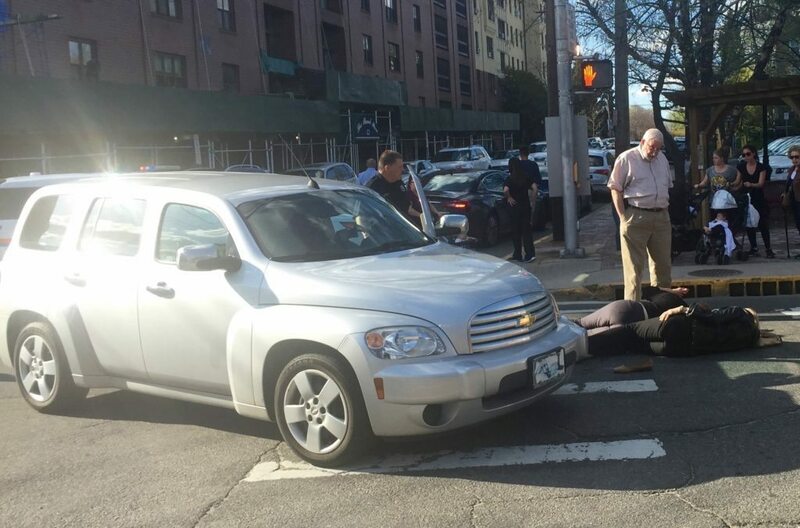 Nassau County police responded but took no action against the driver.